As an investor in a strata complex, you automatically become a member of the owners corporation (also called the body corporate). This means you share responsibility with the other members for collective decision-making regarding common property such as gardens, lifts, external walls, shared rooms, gyms or pools, and so on. Owners’ corporations also collect levies from lot owners for the upkeep of the building, which helps to keep it safe, secure and in top condition to assist in maintaining its financial value. Owners’ corporations are responsible for the financial management of levies, insurance, record keeping, repairs and maintenance of common property, by-laws and appointments of building or strata managers. 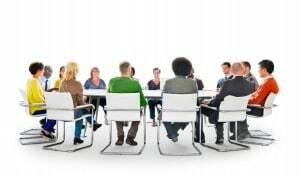 When the owners corporation holds meetings, many matters will be discussed and will also usually require a vote by the members. Annual general meetings are held every year, and should cover such matters as accounting records and finances, levies, elections, by-law decisions, manager appointments, and possibly other matters including repairs and maintenance, complaints, breaches, new works, car parking and any other relevant issues. At times, other matters may require attention and an extraordinary general meeting or EGM will be held. These may include matters such as special levies, by-law changes, authorisation of works and so on. Basically they will involve matters that require prompt attention and that cannot wait until the next AGM. All owners – including investors – are eligible to vote in meetings, or to vote by proxy on decisions if they are unable or unwilling to attend. As a lot owner, you have invested your own money into the strata scheme and it’s a good idea to attend at least the annual general meeting. By attending meetings in person, you get to obtain a better picture of what is going on, to voice your viewpoints, and to make suggestions regarding changes to, or management of the property and so on. You also get to become aware of any issues or decisions that may in some way impact on your tenants. You might think that paying your annual levy for care of common property is all need to do, and that you don’t need to be involved in meetings. You are, of course, free to do just that. But given how much you have invested in your property, you also want to do everything you can to protect it. Attending strata meetings at least once every year is part of that.